Evolution is as much science as quantum theory is. To claim otherwise is totally absurd.Note the equivocation between evolution and quantum theory, followed by a form of ad hominem attack. Edit: My charge of ad hominem was challenged. I verified it with two experts, one said it was abusive ad hominem, the other narrowed it further to Appeal to Ridicule, which can fall under the "umbrella" of ad hominem. Proof has been steadily accumulating over 150 years, as science advances more appears. that's how science works. Wrong. True science is willing to discard a theory if the facts do not fit instead of making excuses, wishing that an answer will come along someday, or faking the data. Also, true science does not resort to fraud or make many utterly stupid mistakes in its desperate pursuit of advancing a "theory". No, this is undeniably your doctrine that you will burn in hell if you accept evolution. Nothing fallacious about that. Wanna bet? Not only is this a straw man argument, but an outright lie. The transition is from basic to more complex over a long period of time. The over-simplified "old school" version of one of the competing theories of evolution. Yet, it is a statement of faith because there is no evidence. Further evidence of the faith nature of his (?) comment is that it was a rebuttal to my comment that the fossil record does not show transitional forms! 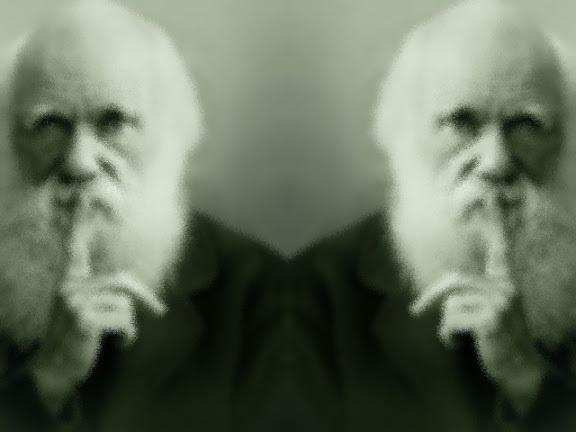 We're evolutionists ... We strike for the head by tweeting the truth. Truth? Which "truth"? I like truth that is real and can be substantiated from a reliable source like the Bible, not stuff that is made up, fraudulent, constantly adjusted like the philosophies of evolution. I have to deal with railings, accusations, lies, fantasy, unsubstantiated assertions (like this ridiculous gem), wishful thinking, utterly bad (and outdated science) and more. These support my assertions that evolutionism is a faith-based religion, a philosophy based on beliefs about the past. That's right, I said it! Beliefs! Evolution is not testable, repeatable, falsifiable, observable or anything else, but it is pushed forward with jihad-like enthusiasm by fundamentalist evolutionists. By the way, the "fact" of evolution, with all of its abundant "proof" should be a settled matter because the proof would be indisputable by even the most die-hard, narrow-minded Fundamentalist. Instead, not only do regular people have doubts, but creationists scientists deny evolution and even scientists themselves have doubts (one simple evidence is that there are competing theories). So, shut me up. Give me real evidence, not guesswork, inference, equivocation, stupid mistakes and outright fraud. But enough of my rant. My purpose today is to introduce you to an article by Dr. Roy Spencer. Twenty years ago, as a PhD scientist, I intensely studied the evolution versus intelligent design controversy for about two years. And finally, despite my previous acceptance of evolutionary theory as "fact," I came to the realization that intelligent design, as a theory of origins, is no more religious, and no less scientific, than evolutionism. In the scientific community, I am not alone. There are many fine books out there on the subject. Curiously, most of the books are written by scientists who lost faith in evolution as adults, after they learned how to apply the analytical tools they were taught in college. If you are not afraid, you can read the rest of "Faith-Based Evolution" here.